In 2013 I was offered the opportunity to be host family for Milja, on behalf of Beri Huseby and Cecilie Midtgaard in cattery NO*Glassrosens ragdoll. 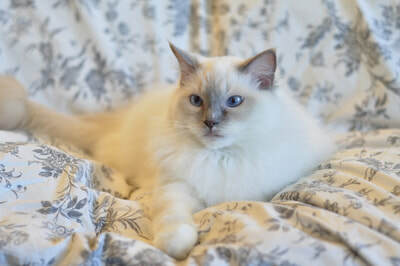 Milja had two litters for Glassrosens, and by the time her last kittens moved to their new homes, Berit suggested I start my own little cattery with Milja as my first queen. 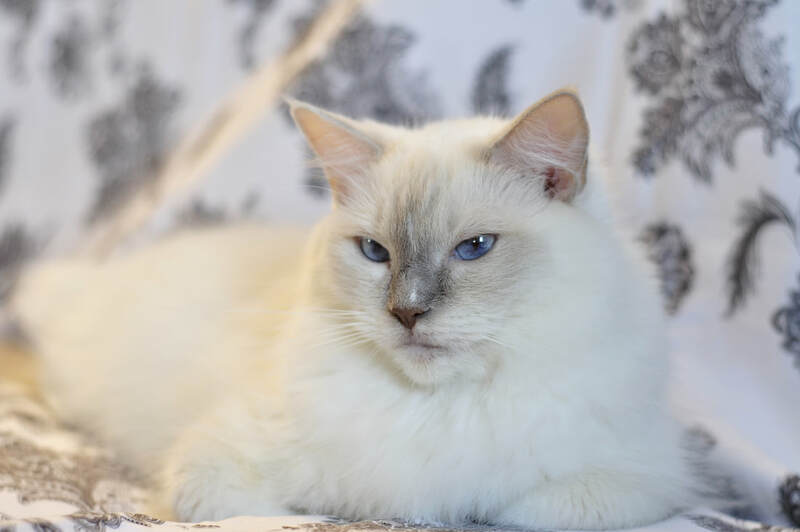 Milja is a beautiful, lilac mitted girl with a wonderfully silky clear coat ♥ She has nice eye color for a lilac, beautiful coloring, and what she's lacking in size, she makes up for with her calm and gentle temperament. She is a real snuggly girl and an absolutely fantastic mother. She had her first and only litter for our cattery in June 2017, but has co-mothered both of River Song's litters, and has become something of a trusted midwife in the Whimsical household ♥ She is now ready for retirement and will be neutered very shortly. 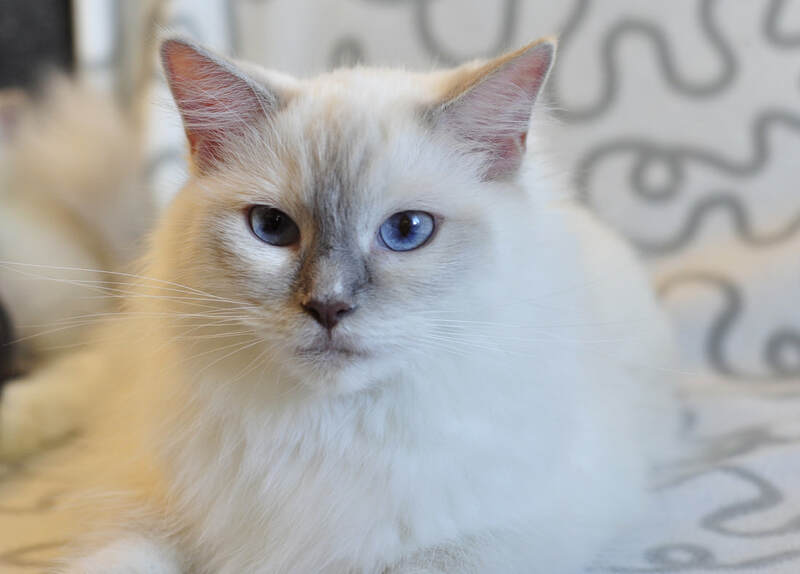 Milja will be staying here with us as a beloved neutered pet and faithful kitten helper!